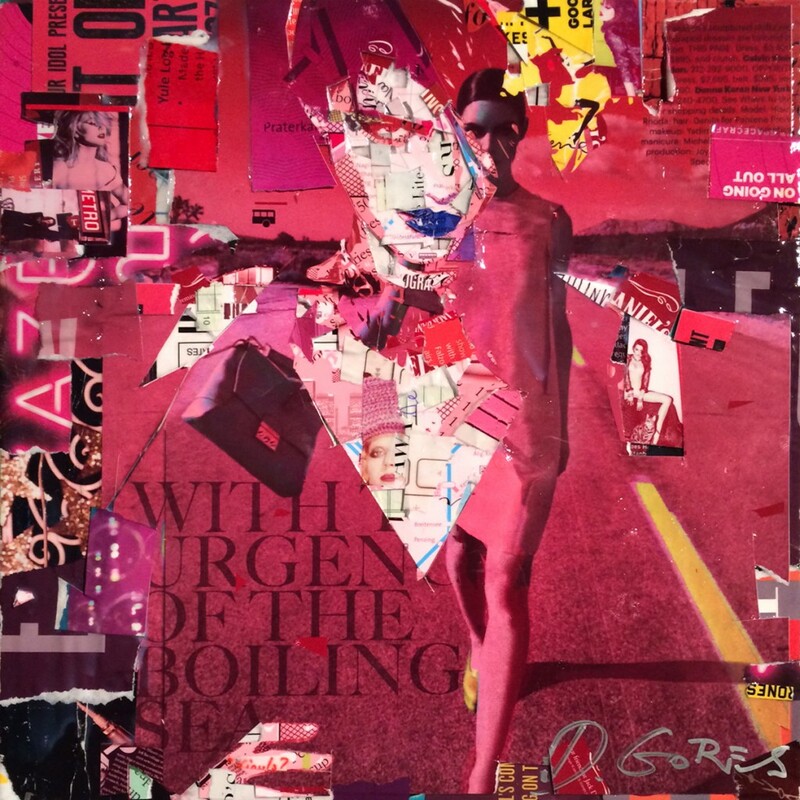 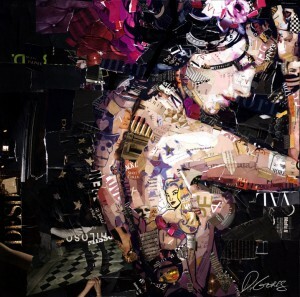 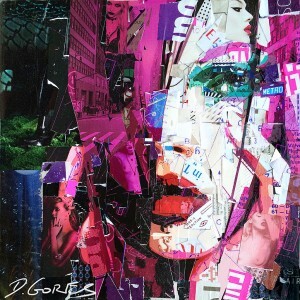 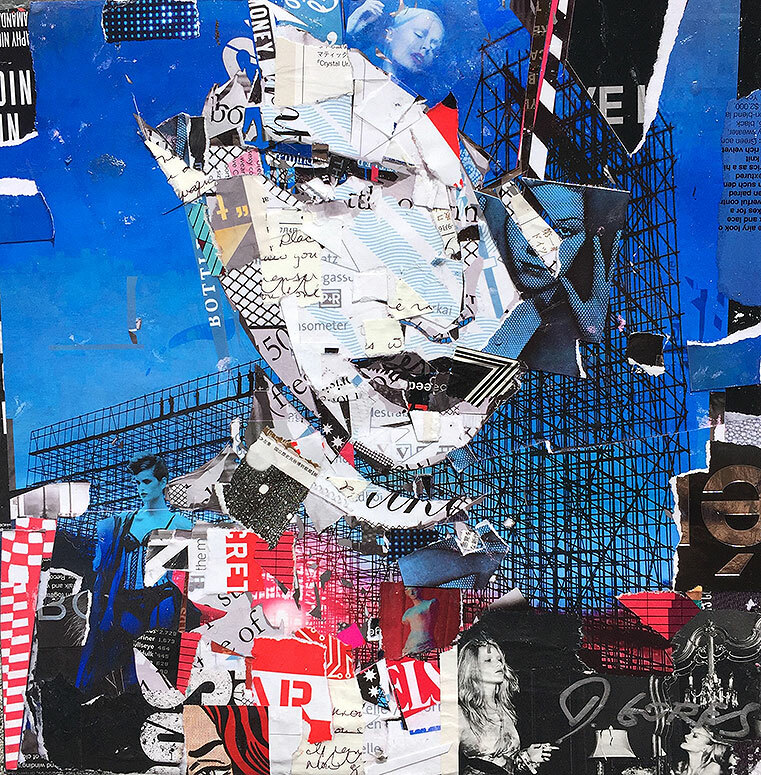 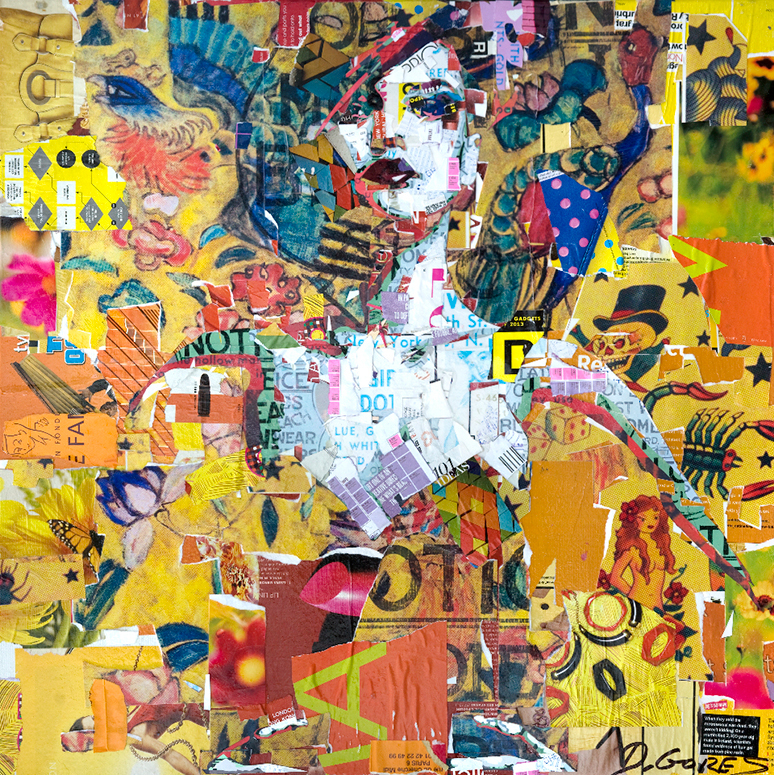 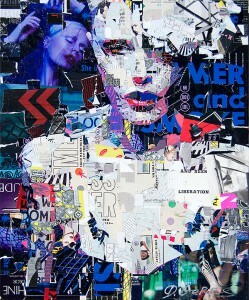 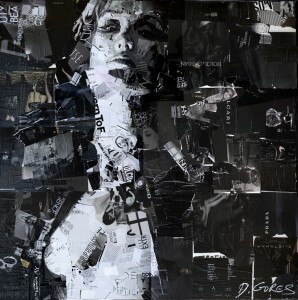 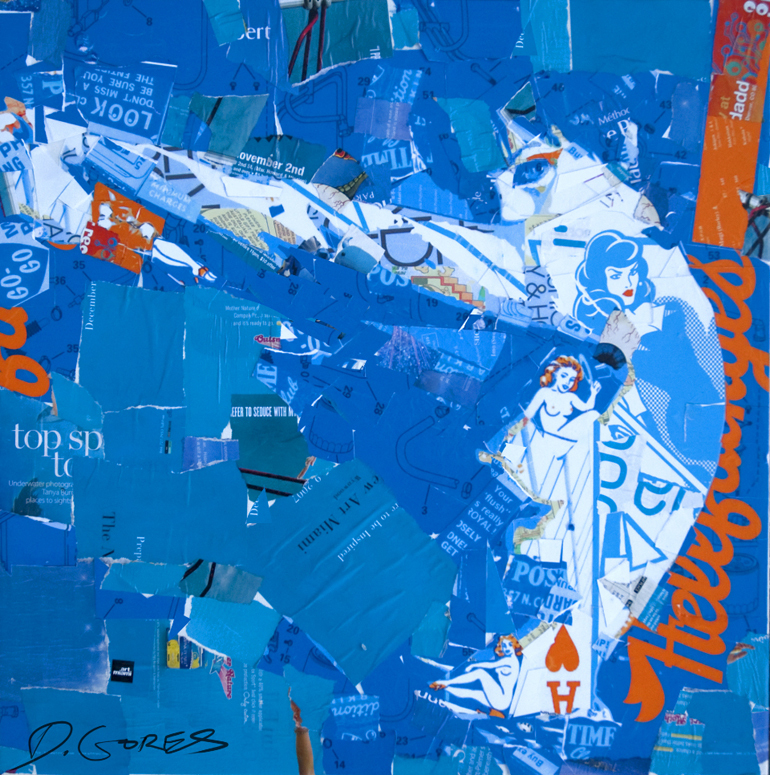 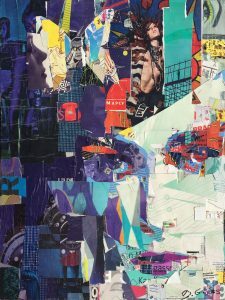 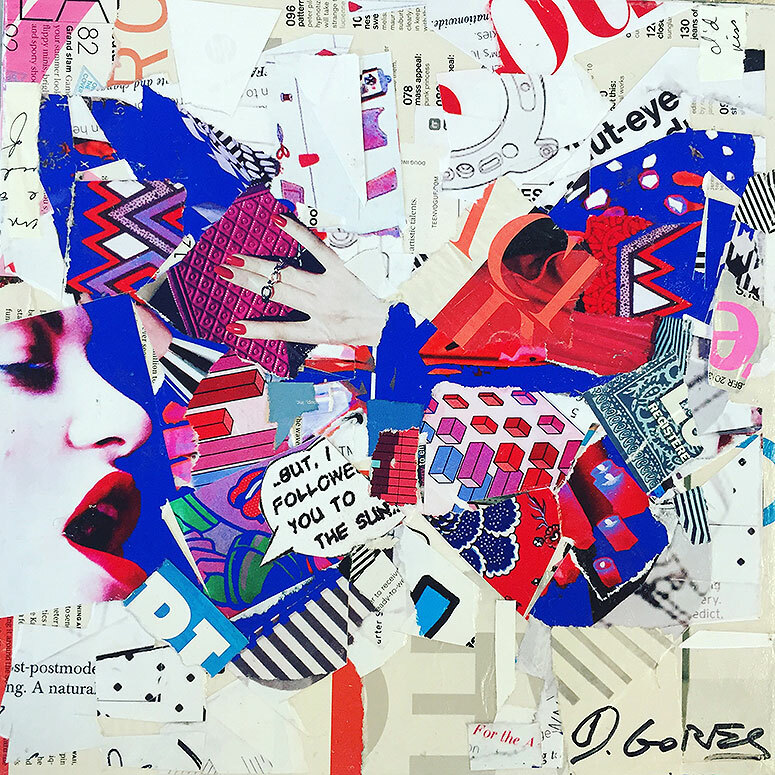 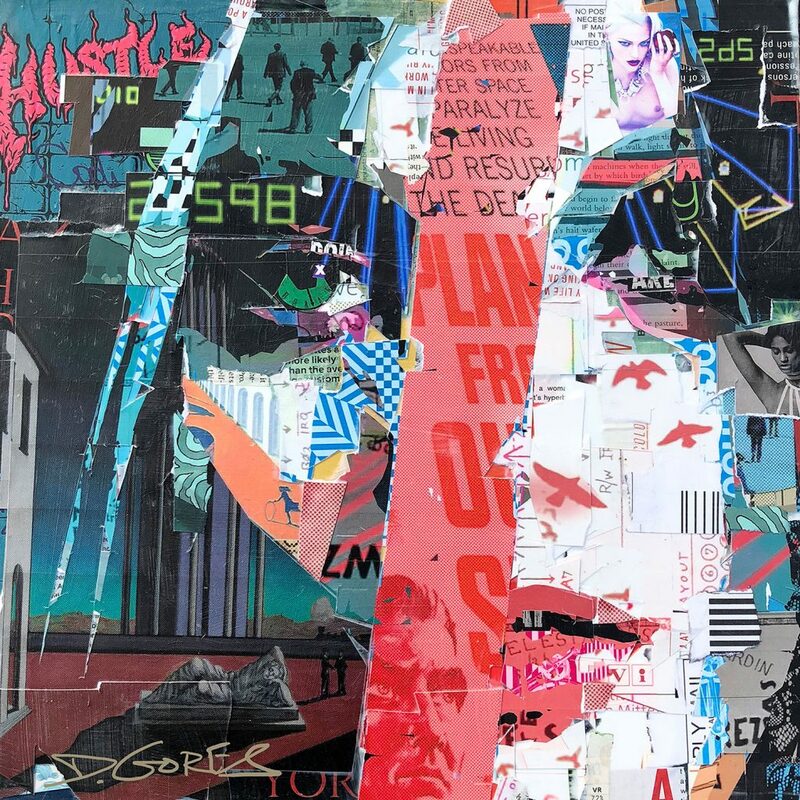 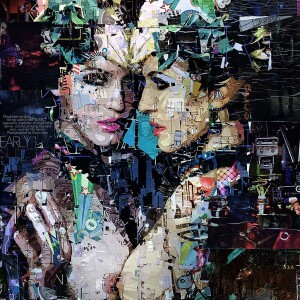 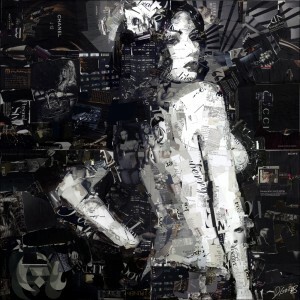 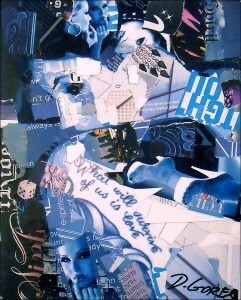 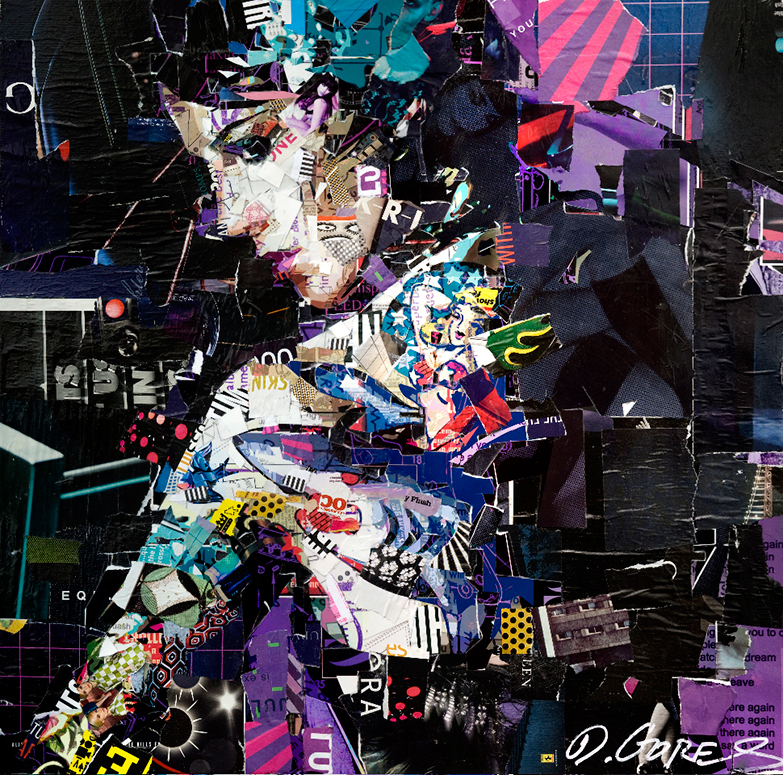 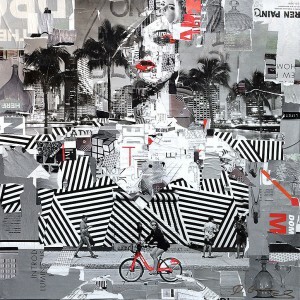 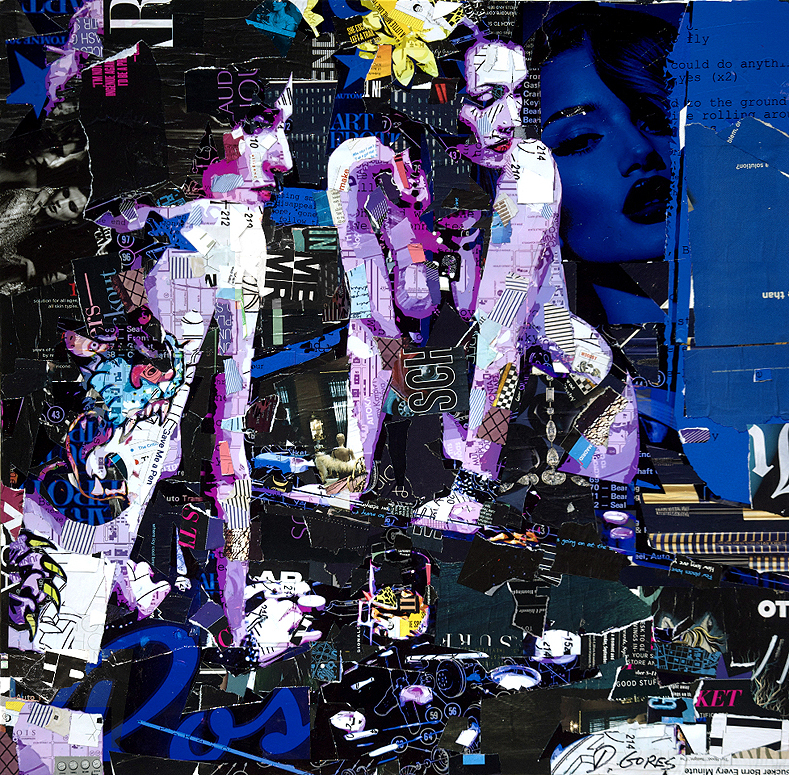 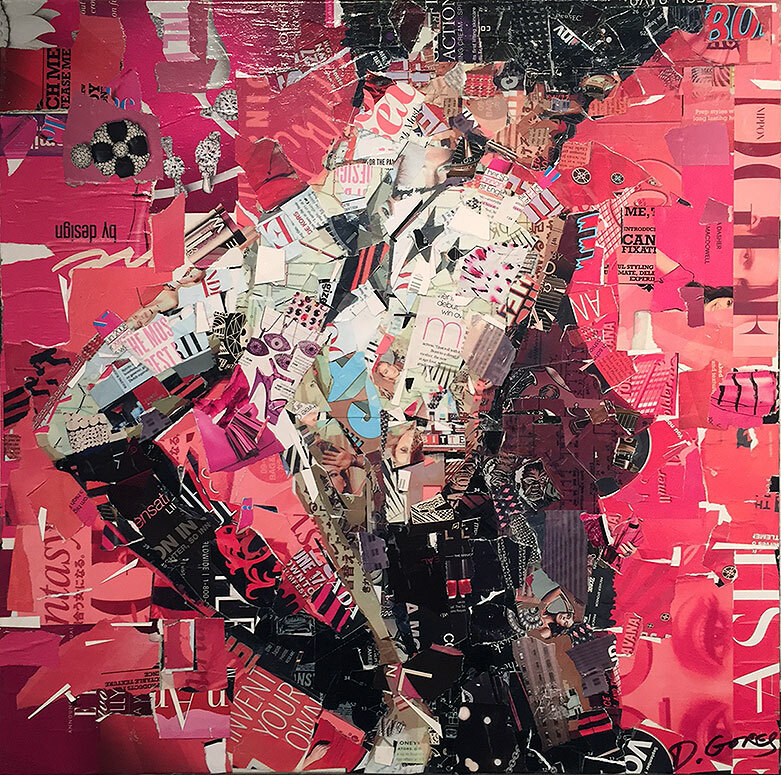 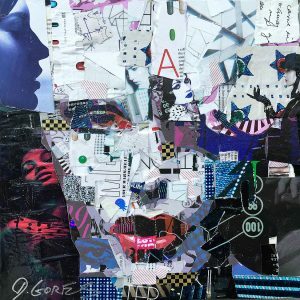 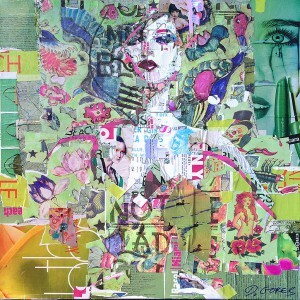 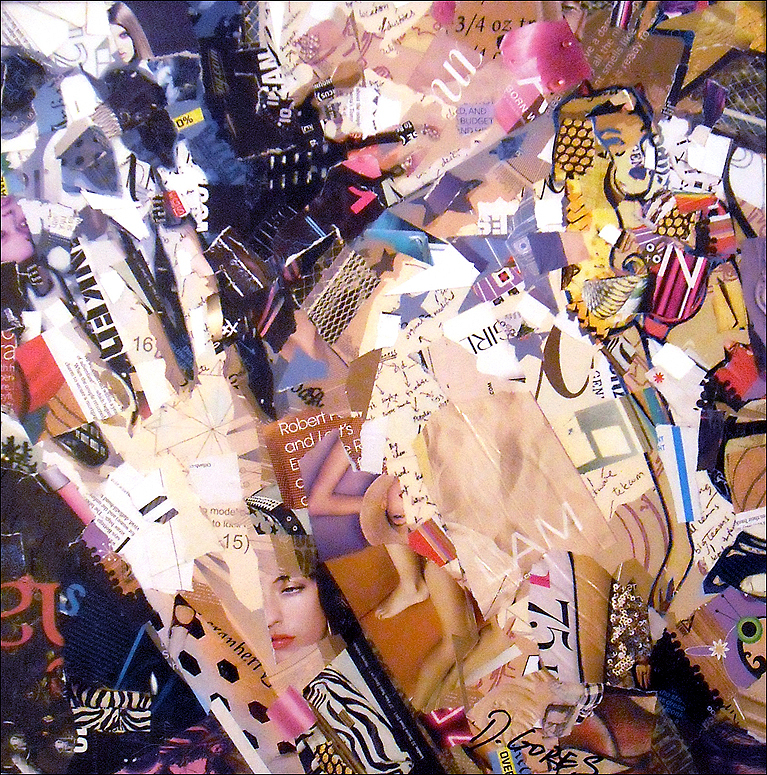 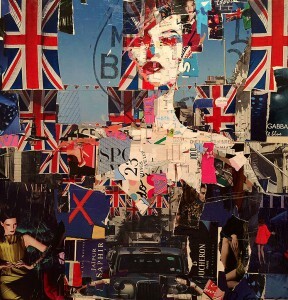 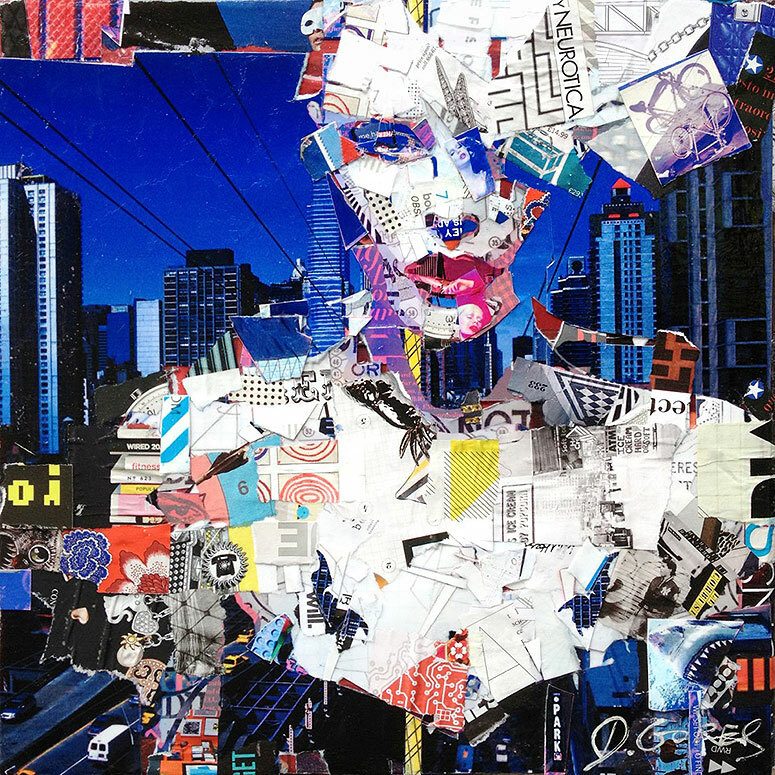 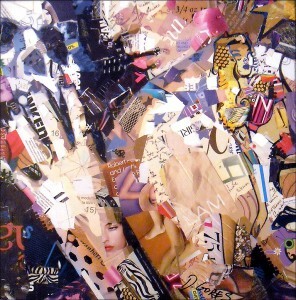 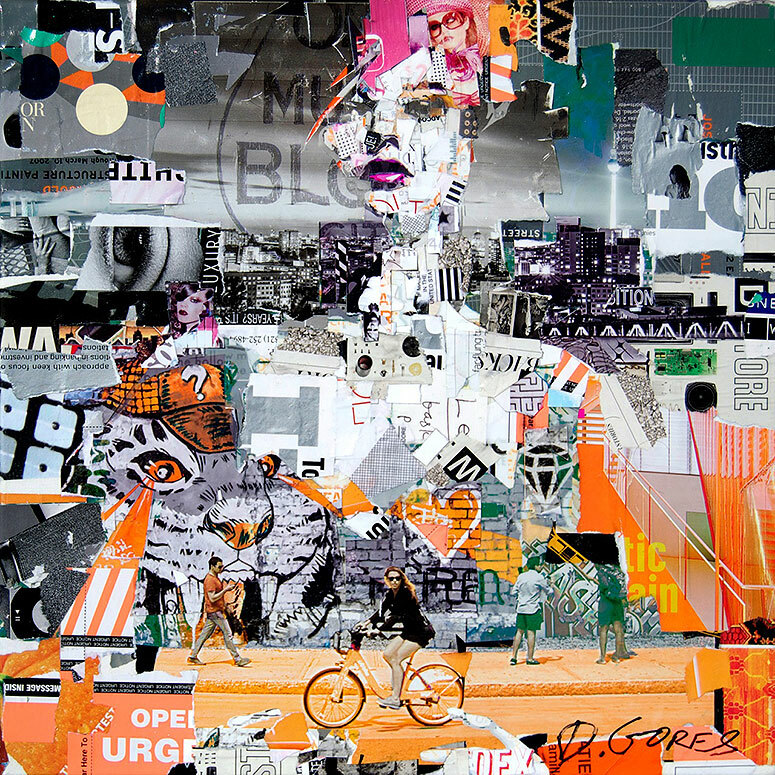 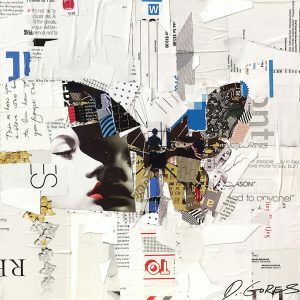 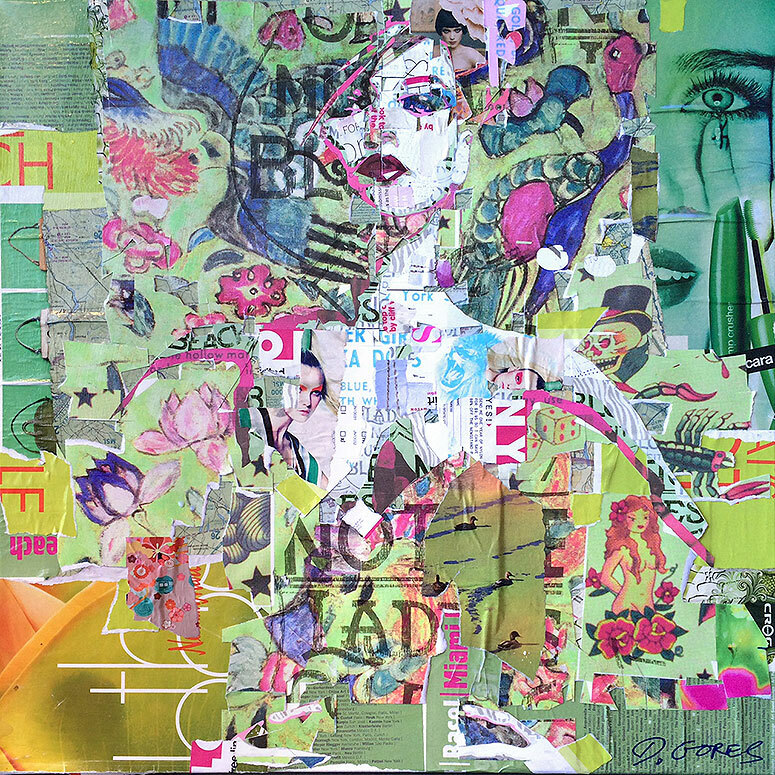 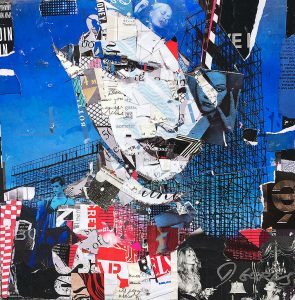 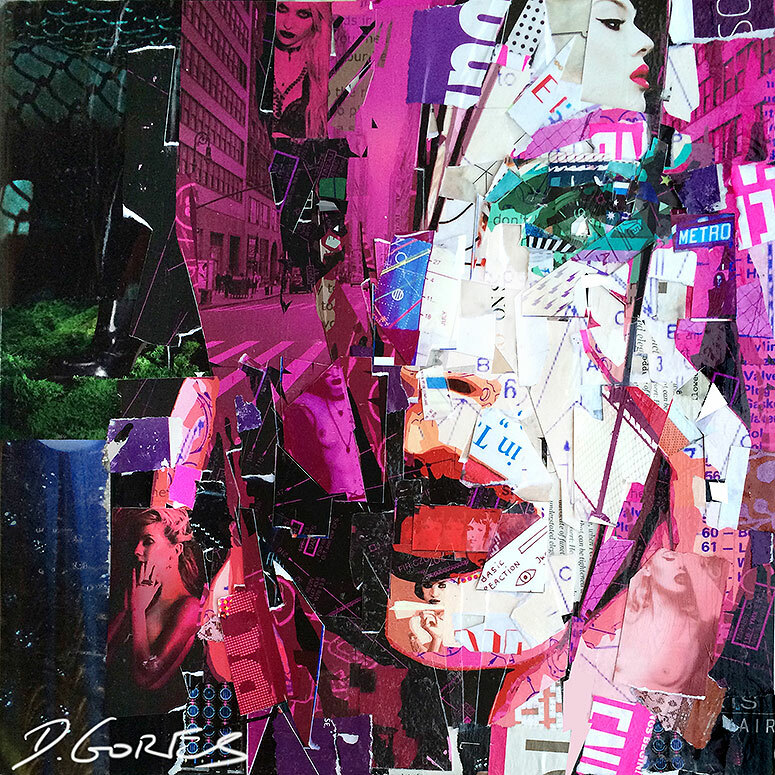 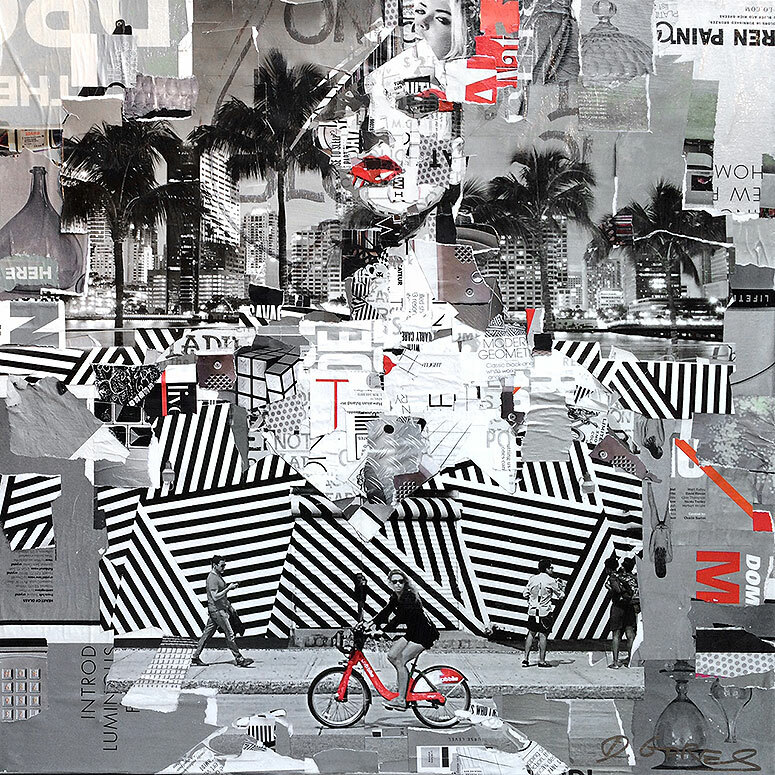 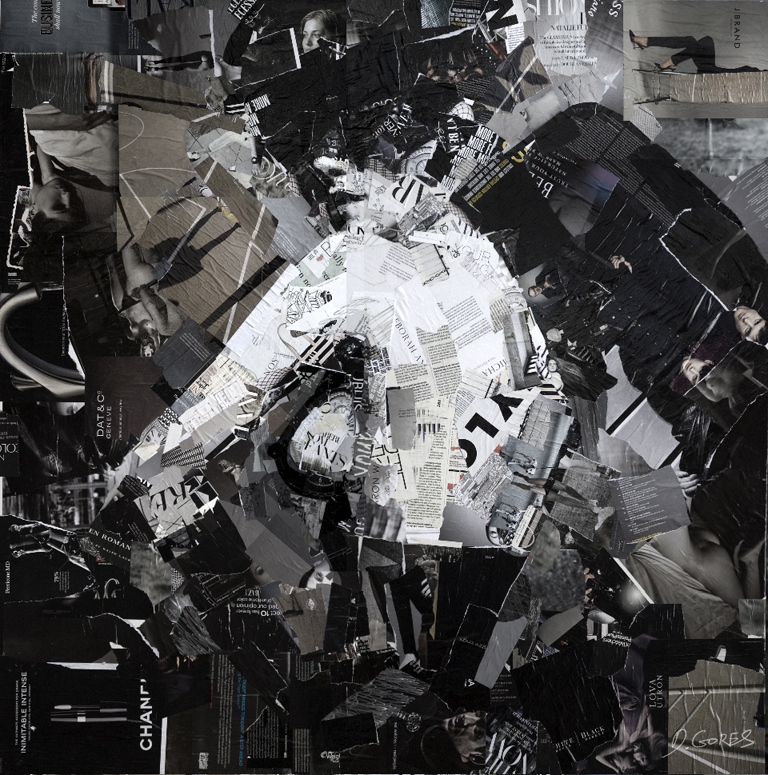 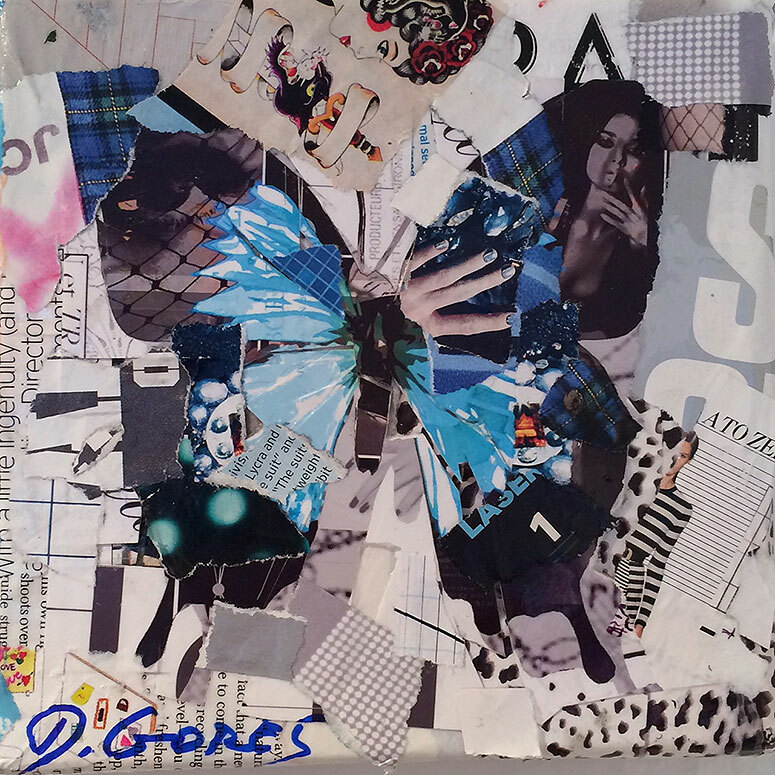 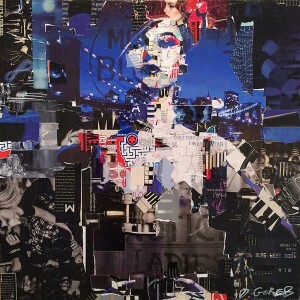 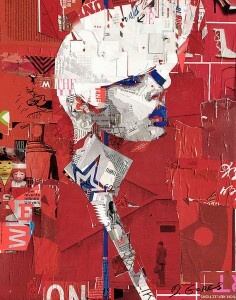 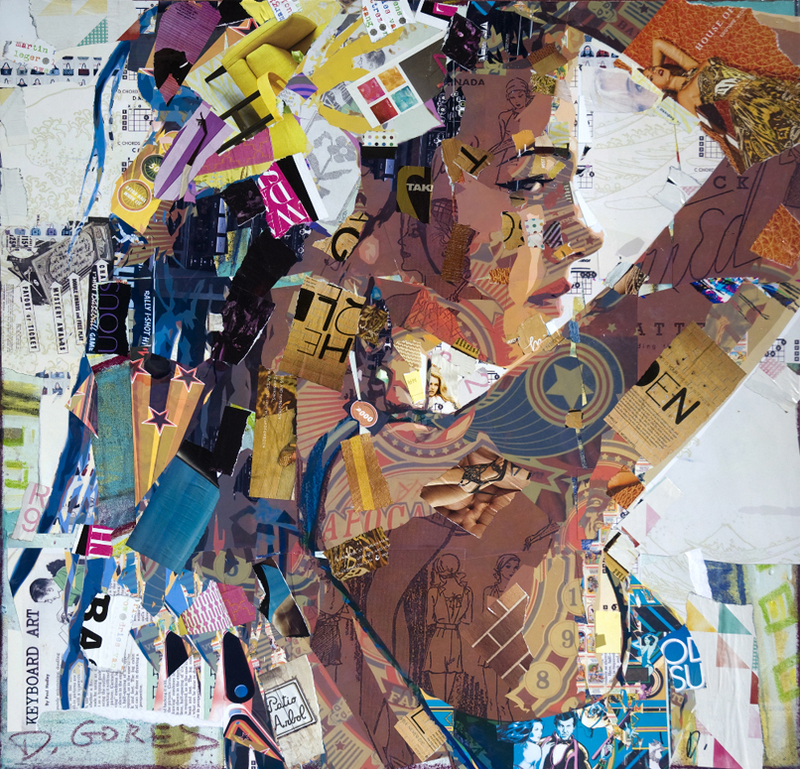 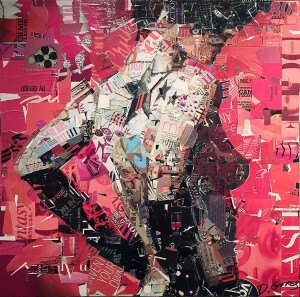 In his popular collage portraits, Derek Gores recycles magazines, labels, and assorted found analog and digital materials to create the works on canvas. 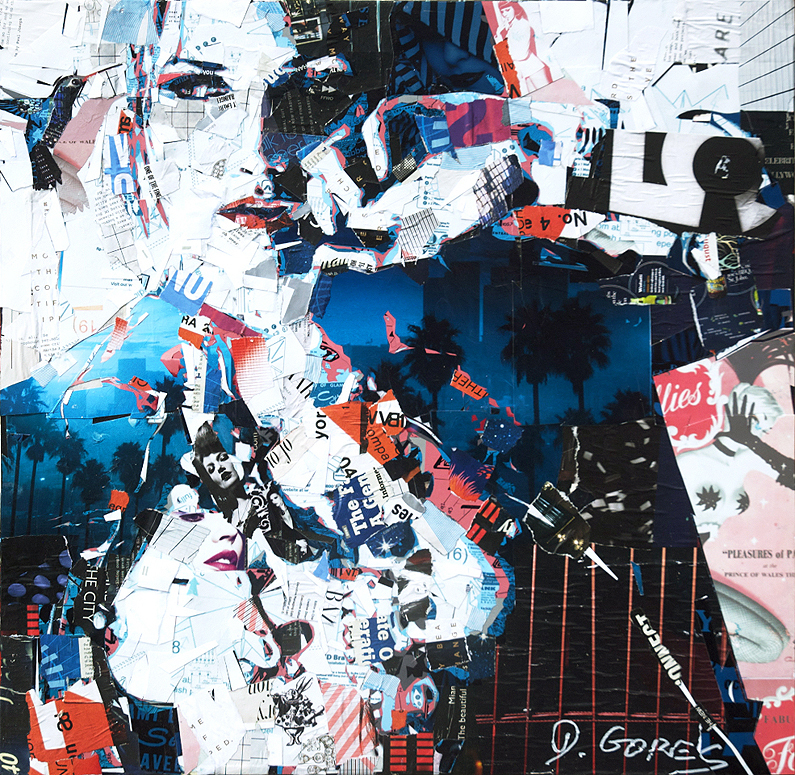 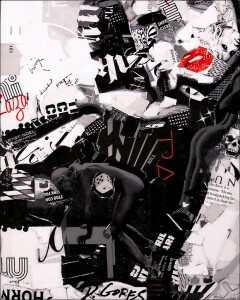 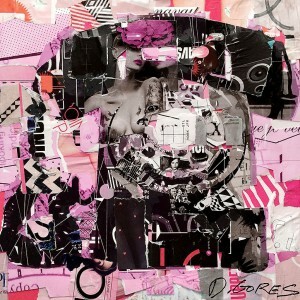 The series showcases Gores’ contrasting interests in the living beauty of the figure, the mechanically angular and abstract design aesthetics of fashion, and a fearless sense of play. Also a successful designer and illustrator for 15 years, clients include ESPN, Lenny Kravitz, Lucasfilm, Kings of Leon, U2, Adidas, Madonna, Harley Davidson, 321 Agency, the National Football League, LiveNation, SEIU, Love Haight Apparel, Draftfcb and JCPenney. 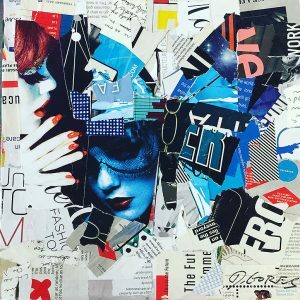 The Rhode Island School of Design grad lives and works in Melbourne, Florida, exhibiting and curating with the bold upstarts there, surrounded by the intellect and culture of the Space Coast. 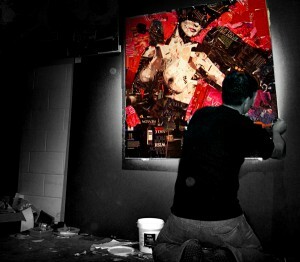 Recent adventures have taken his work to Chicago, Los Angeles, Miami and Sacramento. 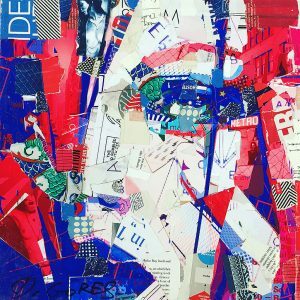 Derek was honored to have his work selected for the Manifest Hope DC exhibit coinciding with the Presidential Inauguration in 2009.